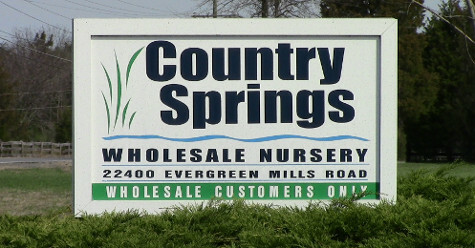 Country Springs offers one of the largest wholesale inventories in the region providing our customers with a diverse selection of high quality plant material. Our entire staff is dedicated to consistently providing our clients with the essential ingredients they need to be successful. 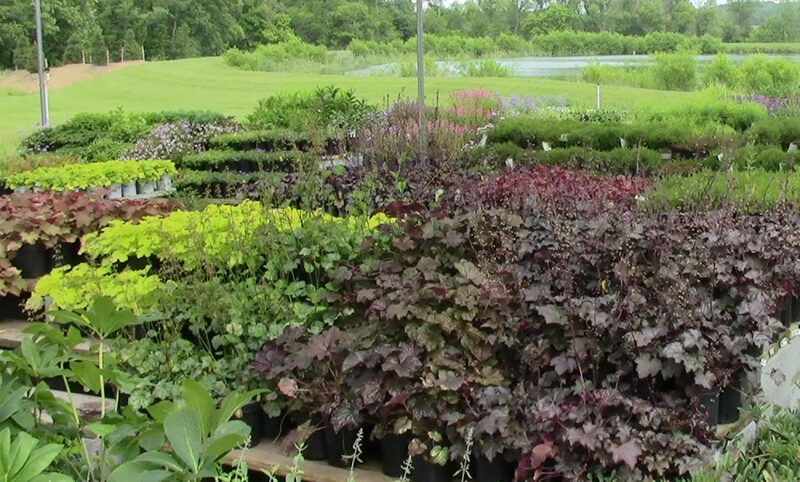 We are committed to providing unbeatable yard service, fast load time, dependable on-time delivery service, the very best plant material and we have on staff experienced and knowledgeable sales people to assist you. 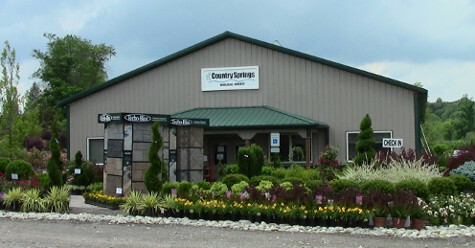 Country Springs first opened the Clarksville, MD branch in 1998 which was relocated to Lisbon, MD in March of 2012. The original Clarksville opening was followed by the opening of the Leesburg, VA branch in 2006. 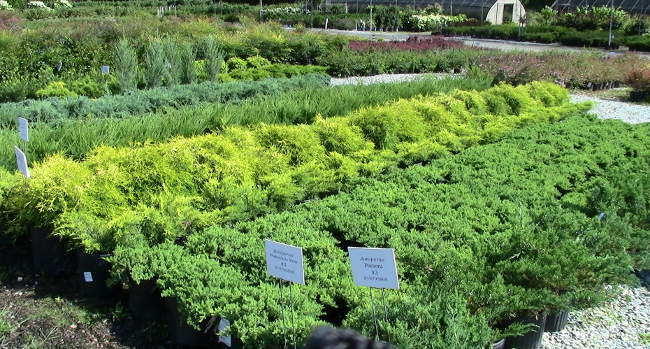 Our Maryland & Virginia facilities draw from a combined 230 acres of nursery space and distribution yards. We are constantly expanding our number of products and consistently evolving to better serve our customers. 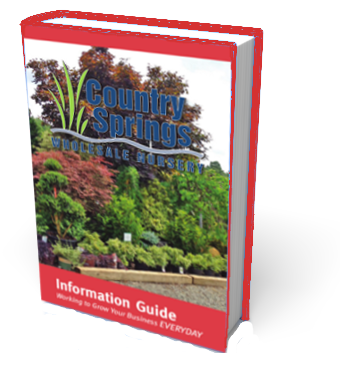 If you visit Country Springs Wholesale Nursery often, this is the easiest way to get to the pages you need from right here. Our most popular pages are one click away and you found them on the front page! Your interest in this guide proves you are not willing to offer your customers anything less than your best! This pocket guide will come in handy when developing a plan or preparing a client meeting. Inside you will find a wealth of helpful information that will assist in many ways. To get this amazing ebook, Click the button! Where You Can Visit Us!